The presence of a US military transport ship suggests delivery of vehicles for the "Free Syrian Army" with news of an imminent opening of a front in the south of Syria on the border with Jordan. Amman (AsiaNews) - The US military ship Liberty Passion left from Livorno on March 26 carrying 250 military vehicles and has reached - after a stop in Romania on April 6 - the Suez Canal at the very moment when King Abdallah of Jordan was meeting with US President Trump. 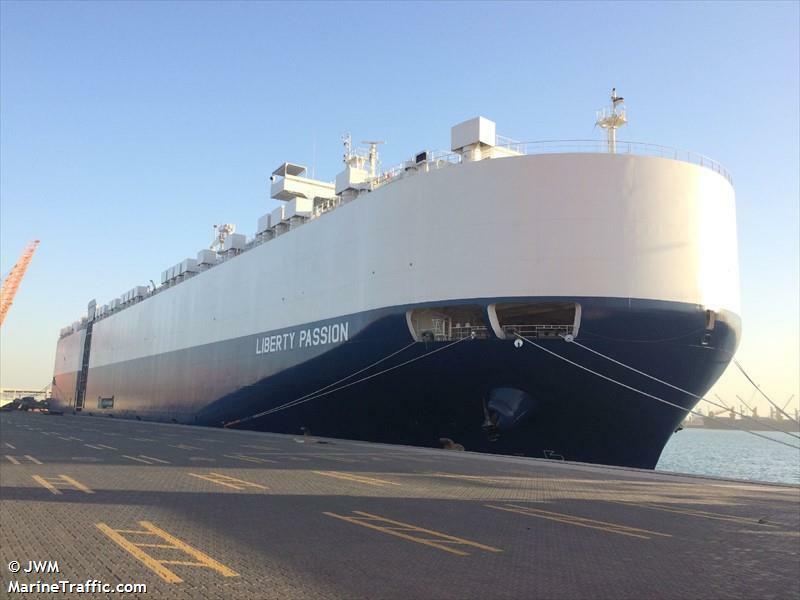 The Passion Liberty went through the Suez Canal Friday, April 7 and dropped anchor in the Jordanian port of Aqaba 9.49 pm the same day. The ship, capable of carrying hundreds of military vehicles, is part of the US Sixth Fleet based in the Mediterranean and has never run maneuvers, moving only to perform very specific missions. Large-scale (58107 tonnes) it arrived at the same time that American plane jets unleashed their missiles on Syria and remained for 40 hours before sailing on to Jordan on Sunday in the direction of Jeddah in Saudi Arabia. The Pentagon has not given any indication as to the military vessels mission in Jordan, but social media of the opposition to Syrian President Assad speak of a consignment of many military vehicles for the "Free Syrian Army" with news of an impending opening of a front in the south of Syria on the border with Jordan, under the supervision of American troops, in something similar to what happened in northern Syria with the operation " Euphrates shield " launched by Turkey. All specialized military analysts on the Middle East argue that US would only intervene militarily in Syria if Jordan were threatened directly or indirectly. In fact, the Jordanian monarch expressed fears during his last visit to the US by releasing statements of concern on the "geographical continuity between Iran, Iraq, Syria and Heizbollah" to the Washington Post emphasizing the presence of the "Revolutionary Guards (Iran) now stationed 70 kilometers away from the borders with Jordan. " These two statements are enough to perceive the nature of the talks that took place in the White House between the Jordanian monarch and the American President that was certainly not a mere courtesy visit. Eyewitnesses speak of strengthening the Jordanian military presence in the triangular border separating Jordan from Syria and Iraq. While all the changes that have occurred recently in the country, such as the removal of the Jordanian Chief of Military Intelligence Faisal Al Shawbaki few hours after the end of the summit of Arab countries members of the Arab League and the meeting with the Saudi king , replaced by Adnan Al Gindi demonstrate a change of course and a Jordanian willingness to play a more active role in the ongoing war in neighboring Syria. The approach of Jordan to Russia had allowed the border a period of relative peace, Daesh had disappeared from Badiya Al Hammad and large areas of the eastern Sueida in southern Syria, replaced by forces loyal to Jordan even if this policy had created tensions with Saudi Arabia. The reconciliation between Amman and Riyadh indicates that something is going to change even among the relations with Russia and above all Jordan regarding the Syrian issue.